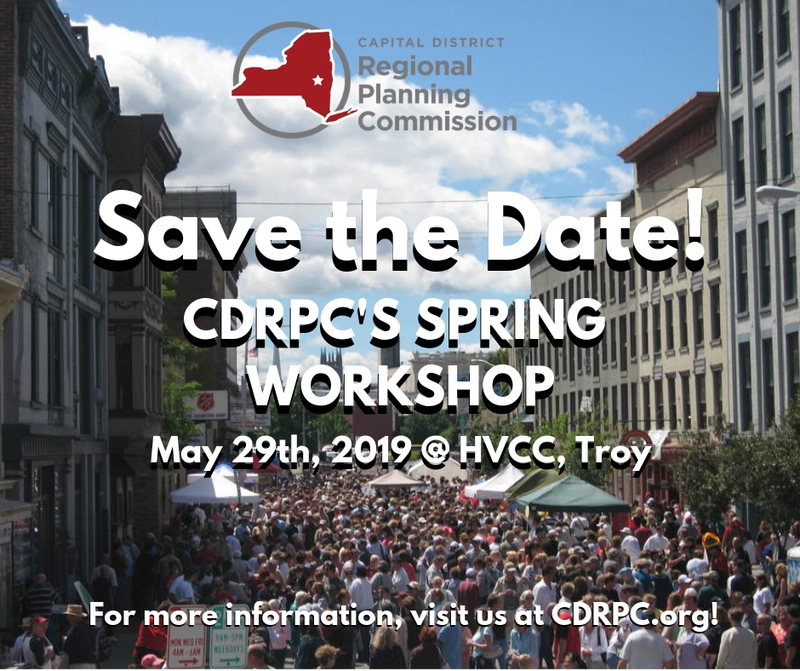 CDRPC will be hosting it’s Spring Workshop on May 29th, 2019 at Hudson Valley Community College! This year’s workshop will include sessions focused on infrastructure, boards and clerks, as well as planning and zoning. Make sure to be on the look out for more updates regarding the workshop on our website. Information about registration, time, and workshops will be announced soon! CDRPC and the Capital District Transporation Committee is offering this program intended to fill gaps in local level planning needs and to enhance capacity to advance projects that resonate with one or more of the Quality Region Principles of the New Visions 2040 Regional Transportation Plan. The deadline for applications is March 9, 2018 at 4pm. For more information, please visit the program's website here.